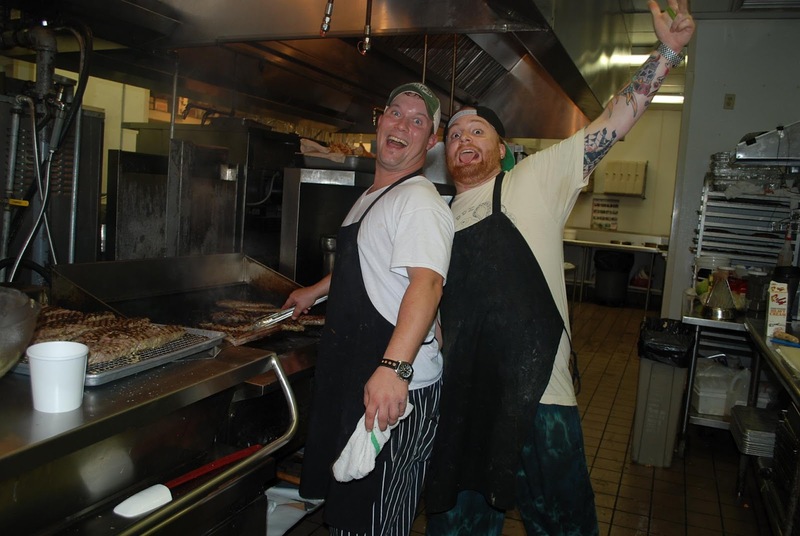 The first quarterfinal Fire in the Triad battle went down last night between Chef Chris Blackburn of Josephine's in Greensboro and Chef Timothy Bocholis of Bistro B in Kernersville. We last saw Chef Bocholis during the very first Fire in the Triad Battle Cheerwine and Chef Blackburn during Battle Rabbit. Both chefs are now seasoned in the ways of The Fire and primed to potentially make it to the next level of competition: THE SEMIFINALS. 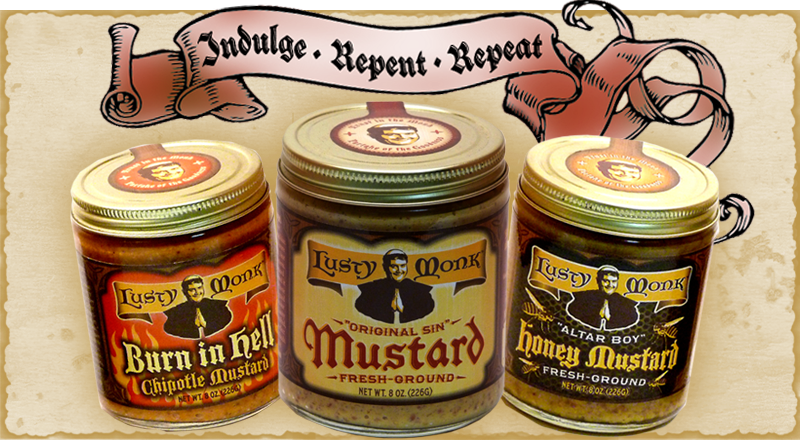 Provided by Lusty Monk Mustards of Asheville, NC, all 3 of the company's signature products: Original Sin, Alter Boy and Burn In Hell were used-- the company boasts of "Robust mustards for passionate palates"--and that is exactly what each course had in store for us diners last night. Confession: I really don't care for tartare. I refuse to eat steak or salmon tartare in any preparation because of my fear of it having the texture of cat food (not that I've ever eaten any). I am a sucker for lamb, so I mustard enough courage to go in fork first to the lamb. This was definitely people food. Studded with roasted peppers, capers and olives, the plate was delicious. Generous amounts of cracked black pepper covered the plate and added another layer of coarseness to the grainy Original Sin mustard. I could tell some mustard had been folded in, but the quinoa medallion could have been left off the plate. Not listed on the dish's ingredient list but present: a medallion of cashew-crusted goat cheese and 3 chips that I believe were fried yucca. The most aromatic dish of the night: Quail is delicious. I love munching on its itty bitty wings and itty bitty legs. Noshing on quail makes me feel like the giant in Jack and the Beanstalk. Quail is usually served rare or medium rare because it's so small. This quail was not. It was overcooked, but the Burn In Hell demi covered that up. I'm not sure diners noticed. The sauce was very spicy and matched with the farro-apple melange. Another showing of heavy-handed black pepper flavored the dried apples and wheat grain melange. A garnish of a gaufrette potato chip, broccoli rabe stalk and oyster mushrooms didn't seem too creative or over the top nor did it help the dish win diners over in the scoring department. The second lowest-scoring dish of the night, my whole table was looking forward to the third course. 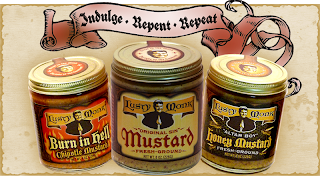 Pork and mustard: a match made in heaven. Add bacon and you have magic. The best-tasting and the highest scoring dish of the night, this dish used the secret ingredient best. The tenderloin was fork-tender, juicy, and perfectly pink (in that 'this-is-pink-because-it-was-cured-and-not-undercooked way). I did not care for the bacon wrapped around it because it was not crispy and reminded me of an unsuccessful dish my mother once made, but I didn't let that detract from the rest of the dish. The pâte à choux gnocchi were straight out of Mastering the Art of French Cooking by Julia Child (something I've done myself numerous times) and just as delicious, I'm sure. The cauliflower puree melted into a spicy, creamy sauce that I dragged each slice of pork and gnocci through. The sauce choron (basically a hollandaise with tomato paste added) was a pretty addition to the plate. The lowest scoring dish of the night, it was the most inconsistent. I could not taste any mustard in any of the components. It was a plate full of tasty items that weren't connected in any way. I tried to make cohesive connections between everything, but I failed. The risotto cake was the largest part of the plate and I joked that it was the size of a third-word country, in comparison to everything else. The lamb was layered on top in thin slivers that were flavorful, but devoid of mustard taste. I loved the crab rangoon, but I wished there was a duck sauce to accompany it. The mushroom bordelaise and guava marscapone were good sauces, but didn't match with the main or sides. The forkful of sugar snap pea salad was sweet and delicious, but again--it did not go with anything else on the plate. This dish picked up where the last dish left off: MUSTARD CITY! Mustard here, mustard there. Here, there, everywhere was mustard. There was almost too much mustard here. Everything was spicy and too mustardy. The tart tatin supposedly had mustard in the crust, and even though I didn't taste much of it, I was glad because my palate needed a break from the spicy gelato and caramel. Double desserts! Yay! The best part of the dish: the marshmallow. Still warm from being blow-torched in the kitchen, it oozed all over my bread pudding and made me a happy young lady. I ate it first and decided that I was full and couldn't eat more. I mustard up enough courage to dig through the bread pudding and the strawberry mustarda. Wait? Mustarda? At this point, I had a clue of which chef made this dish. Only one of the two chefs created a mustarda in the previous challenge. After the parade of chefs and their crews, only one chef could be the victor: Chef Chris Blackburn of Josephine's won by an 8 point margin. Congratulations, Chef! I'm looking forward to seeing you in the finals on September 18! Excited about mustard, Chef Blackburn is ready to rock! For a breakdown of dishes and scoring, please visit Competition Dining. I will be out of town for the 2nd quarterfinal dinner between Southern Lights Bistro and 1618 West, but don't worry. I've left you in capable hands. Guest blogger, Kristi Marion from Southern As Biscuits will be taking my place and updating you on Thursday night's dinner. Log-on and subscribe to Nik Snacks email subscription list to stay tuned for nightly recap of Fire in the Triad quarterfinal dinners. 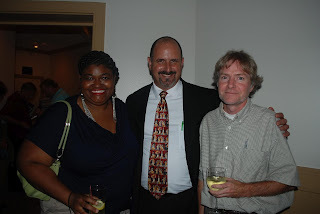 You can also follow me on twitter @niksnacks or Kristi @SouthrnBiscuits. 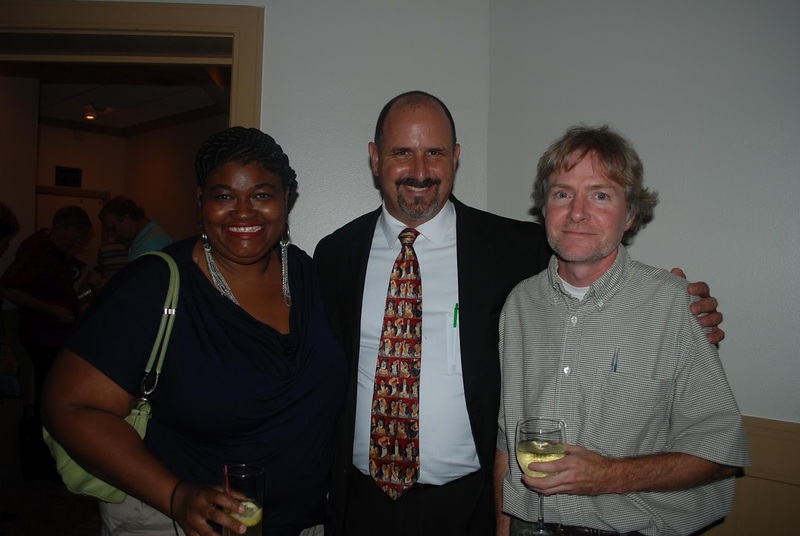 Search #CompDiningNC for live updates during each battle (dinner begins at 7pm). Please also follow Competition Dining on Facebook or the web. Thank you, Sue! I've found a way to get around those little things called "meat" LOL I want to give it up, but for now, I'm making concessions that are right for ME.